School is back in session and Frog and Hamster are ready to do it all again. They may not be the most talented or the most popular, but they are who they are, Frog and Hamster, best friends. Want to read more? 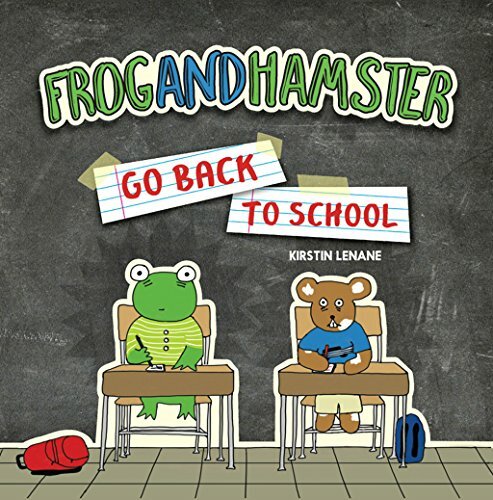 Purchase “Frog and Hamster Go Back to School” here. They weren’t used to outsiders in town. No one ever did much coming or going. What happens when a travel-loving creature enters a small-town diner? Will he frighten the townsfolk or inspire them to seek out adventures of their own? 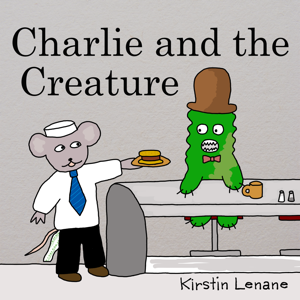 You can purchase “Charlie and the Creature” here. Simon loves everything about Halloween: the candy, the costumes… but what he loves most is scaring others. Last year, he invited Jim to his house for a Halloween party, but before Jim arrived at Simon’s front stoop, Simon scared him away. This year, Jim has invited Simon to his house for a party. Everything appears very un-scary, but he has some tricks up his sleeve. Good luck, Simon! 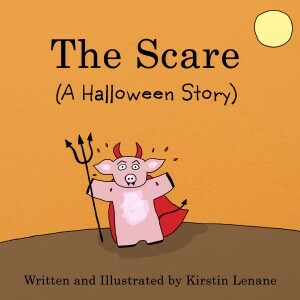 You can purchase “The Scare: A Halloween Story” here. What begins as an innocent visit up to their new neighbors’ home, turns into an intricate tale of deception. How will Frog and Pickles find their way out of this mess and still manage to maintain their new friendship? 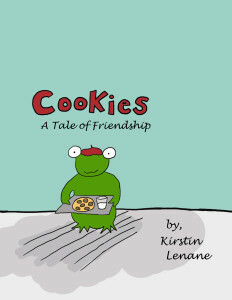 You can purchase “Cookies: A Tale of Friendship” here.